Journal «Management» — peer-reviewed, open access journal that is intended for publication of original, innovative, advanced and high-quality articles. management, economics, international economic relations, problems and prospects of entrepreneurship development in Ukraine and abroad, public management and administration, marketing, trade and exchange activities, finance, banking and insurance, tourism, hotel and restaurant business. In the Journal, published materials are of fundamental scientific, theoretical and practical importance that have not been previously published. The publication focuses on academics, teachers, students and scientific workers and experts of respective fields. Owner: Kyiv National University of Technologies and Design. 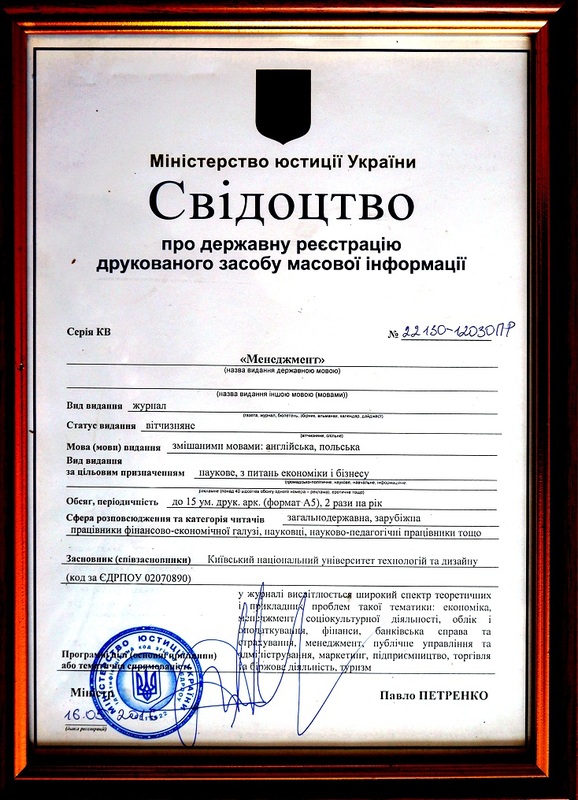 Certificate of registration of print media series КВ №22130-12030ПР of 16/05/2016. 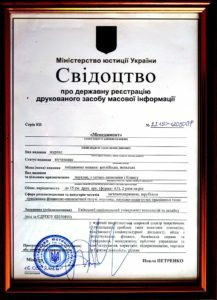 Professional registration: journal included in the list of scientific professional publications of Ukraine, in which can be published results of thesis for the degree of doctor and candidate of sciences: Order of the Ministry of Education and Science of Ukraine from 18.12.2018 number 1412 (Annex 10). Category B. Economic Sciences. Specialties: 051, 071, 072, 073, 075, 076, 241, 281.